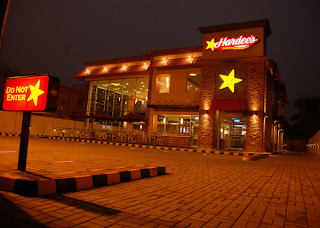 Hardee’s has finally opened its first franchise in Karachi at Hyderi North Nazimabad. On 22nd September 2011, they had a soft opening where they had a small function infront of the restaurant. Shahid Afridi was the chief guest in the function accompanied by senior execs and CEO of the company. 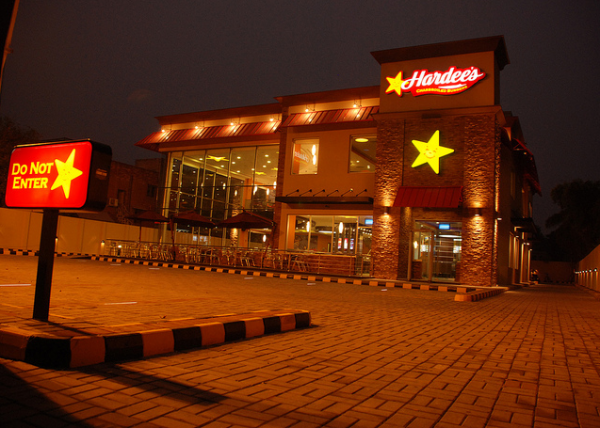 The manager states that from 23rd September 2011 Hardee’s Karachi shall be starting serving the Karachiets who are already eager for it. According to Mr. Tayyab Alim, Vice President Operation at Global Quick Foods (Pvt) Ltd Hardees. “The next 5 years plan is to open 10 Hardees restaurants in Karachi. Our goal is to open at least 2 more Hardees by the end of December 2012”.